This review is of Studio One 3 Professional, which has a larger feature set and comes with more content than Studio One Artist or Studio One Prime. To see what’s left out of the lower-priced versions, check out this this version comparison page from the PreSonus site. 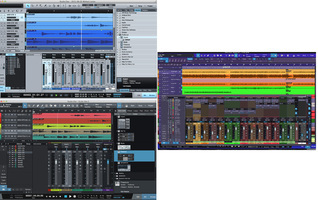 Clockwise from top: Studio One 2, Studio One 3 with high color settings, Studio One 3 default look. The first thing you’ll notice is the new look. 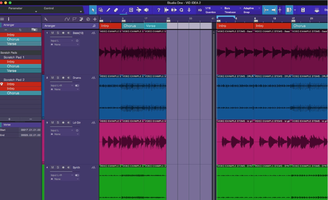 The background is a dark gray, almost black, which matches the trend in DAW colors these days. It does feel more sleek and modern than the heavily silver GUI of v2. What’s more, you now have some control over the colors via the Appearance section of the preferences. There you can move the Hue Shift slider, along with three other parameter sliders, and add color to the background and windows. It looks particularly striking in the Console channel strips. Speaking of which, you can now vertically resize those channel strips, making them quite tall, and increasing the resolution of the faders in the process. Certainly the most innovative addition to Studio One 3 is the one-two punch of the Arranger Track and the Scratch Pad feature. The Arranger Track is a thin strip that can be opened atop the track lanes in the Arrange window, by pressing the Open Arranger Track icon. Then, by dragging across the Arranger Track with the Paint Tool, you can designate and name different song sections. Once you’ve done that, the fun begins. You can move the various sections around by simply dragging them, and they snap into place at the bar you move them to. Studio One gives you options not only to move or copy a section to an empty spot or replace an existing section, but also to partially replace a section. I found the partial replace to sometimes be a little difficult to accomplish, and even the Insert feature occasionally replaced instead of inserting. The Arranger Track is that strip just above the track lanes with the section labels. A Scratch Pad is open on the right. The Scratch Pad works in tandem with the Arranger Track, although you could use it on its own, if you wanted to. Clicking the Scratch Pad button creates what’s essentially another Arrange window to the right of the original one. If you’re using the Arranger Track, you can simply click and drag the Arranger sections into the Scratch Track to copy them there. If not, you can just select and drag the tracks themselves to copy them. One aspect that’s a bit jarring is that the zoom level changes when you drag a section to the scratch track. If you’re zoomed out in the Arrange view to see all your song sections, when the section appears in the Scratch Track, it will be zoomed in a lot more by default, which is visually confusing. The Scratch Track's zoom setting should mirror that of the main arrange window. I found myself having to resize the Scratch Track every time I dragged an Arranger Track section into it. It’s not a huge deal, but the process of moving tracks would be smoother if they corrected it. You'll see it happen if you watch the video about the Arranger Track and Scratch Pads that's linked below. With your tracks in the Scratch Pad, you can rearrange them at will using the Arranger Track, and playback from the Scratch Pad to hear your new arrangements. Only one Arrange track can be active at a time, either the main one or a Scratch Track. You can create as many Scratch Tracks as you want, however, so you can create many alternate versions of a song and compare them. The combination of the Arranger and Scratch Track features give you a unique and powerful way to create new arrangements. Kudos to PreSonus for coming up with such an innovative feature. Here's a video showing how the features work. 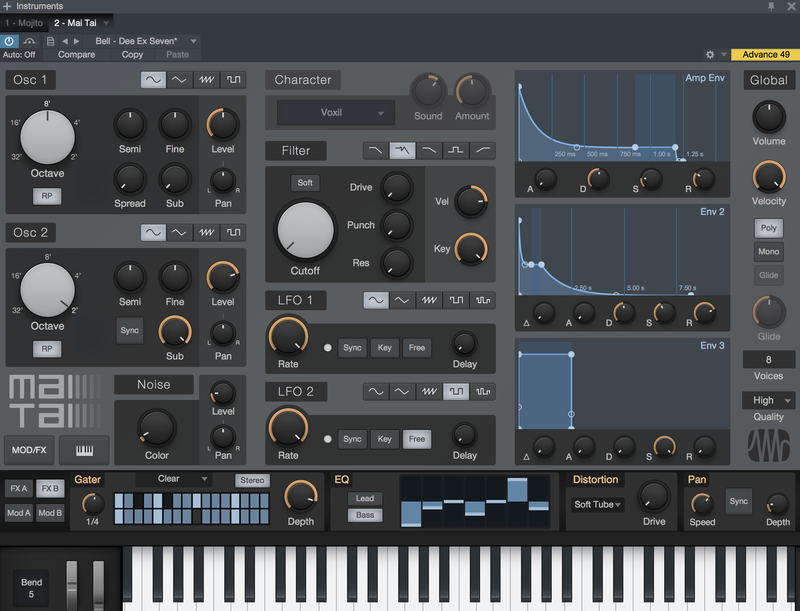 Studio One 3 adds one new synth, Mai Tai, to its collection, and a revamped version of its Presence sampler called Presence XT. Both are based on PreSonus’s new instrument engine, and have a similar look, the same generous set of effects and the same modulation matrix, among other shared features. Mai Tai (shown) and Presence XT share a similar look thanks to the new PreSonus Instrument Engine they're both based on. 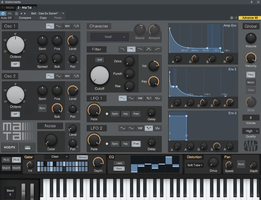 Mai Tai is a two-oscillator, analog-modeling synth. The oscillators each have sub-oscillators and you also get a filter, two LFOs, graphic control over the amplitude envelope and two assignable envelopes, seven effects, a noise generator, a modulation matrix. and a section called Character, which lets you add subtle changes to a sound by switching between emulations of different types of analog synth circuitry. The effects section, which comes in two banks and include Modulation, Delay, Reverb, Gater (a pattern gate for creating syncopated rhythmic sounds), EQ, Distortion and Pan, is extremely impressive. It gives you a huge extra layer of sonic control. Here’s an example, featuring a clean, sort of ringy tone that I quickly created, and recorded a in a repeating pattern. I quantized it tightly to sixteenth notes. After four measures, you’ll hear three effects kicking in: Gater to give it motion, the Distortion effect set to Fuzz, and the Modulation effect set to Flanger. The impact on the sound is profound. Check it out. Mai Tai comes with a large bank of presets, which cover a lot of sonic territory. It also has a bank called “Templates,” which are designed as starting points for your own sounds. 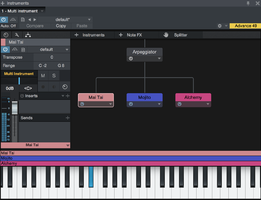 What impresses me the most about Mai Tai, in addition to its very crisp and clean sound, is how easy it is to program. I’m usually pretty useless when it comes to creating synth sounds, but I found Mai Tai to be easier than a lot of others I’ve tried. Mai Tai is sonically versatile, offering everything from FM-sounding digital tones to more analog-y sounds. However, despite being billed as an “analog-modeling synth,” it doesn’t produce the kind of Moog-like vintage synth sounds you might expect based on that description. For those, you’re better off using another of Studio One’s synths, the monophonic Mojito. Presence XT is an updated version of the old Presence sample player. It comes with a 15 GB sound library in Studio One 3 Professional (only 1.56 GB in Studio One Artist and Studio One Prime.) The library covers a wide range of instruments, both electric and acoustic. Drum kits, guitars, strings, brass, winds, vintage keyboards, synthesizers and PreSonus Studio Grand, a decent, but not outstanding, sampled grand piano. There’s even a bank of sound effects. With the addition of Mai Tai and Presence XT, Studio One’s built-in instrument lineup has become more formidable. The two new ones join the aforementioned Mojito; Impact, a pad-based drum and sample player; and SampleOne, a simplified sample player. Another major improvement in the area of virtual instruments is the new Multi Instrument feature. Now you can put multiple instruments together on a single track, either layered, or as splits. It’s really easy to do. Just drag an instrument onto a track that already has one on it, and Studio One will ask you if you want to replace the instrument, or create a Multi Instrument. If you choose the latter, Studio One opens a Multi Instrument window (see screen shot), in which you can balance their levels, add one of the new Note Effects (covered a little later in this review), transpose, create splits and add sends to individual instruments. 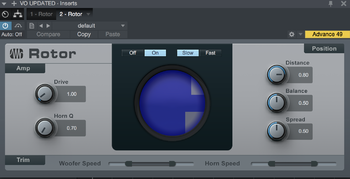 You can insert audio effects, as well, and save your whole creation as preset, which is pretty powerful. The Multi Instrument window with three-instruments layered. Clicking on an icon opens an Inspector at the left. The Multi Instrument feature works great and is really easy to use. Another excellent addition. 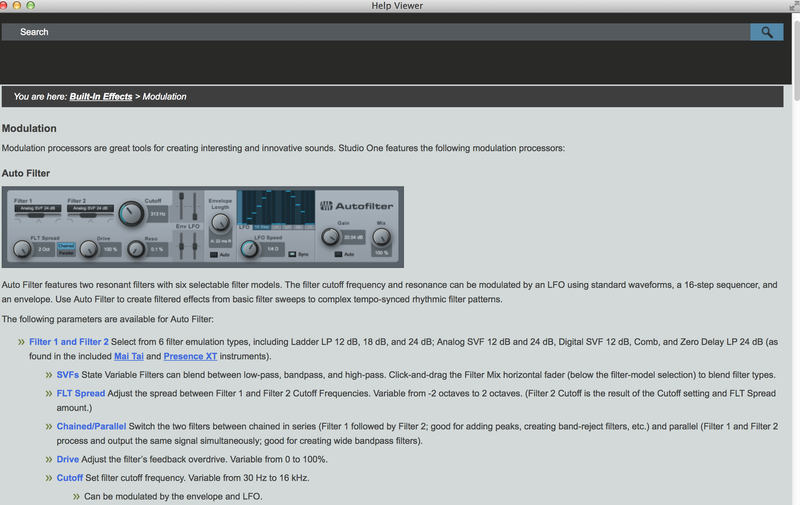 Studio One 3 also brings with it two new audio effects: Rotor, a rotary speaker simulation and Bitcrusher. Rotar offers impressive sounds, thanks to a great deal of parameter control. You can separately adjust Woofer and Horn Speed, Drive, Horn Q (midrange EQ bump), Distance (virtual microphone distance), Balance (between woofer and horn) and stereo Spread. A very cool circular rotating graphic in the center adds some visual spice. Sonically, Rotor sounds really good and quite realistic. I especially liked sounds with a wide stereo spread. Here’s an example of an organ from Presence XT with Rotor on it. Bitcrusher is easy to use and sounds great. It gives you a wide selection of tools to use for mangling your audio, or just adding an edge to it. You can choose a bit depth between 1 and 24, dial in Clipping or Downsampling, and use the Mix control to find the right blend of nastiness. Here’s an example where a clean electric bass track and drums are subjected to some relatively mild abuse from Bitcrusher. The new Note FX are four MIDI effects that can be added either to single or Multi Instruments. I’ll cover them one at a time. Arpeggiator: A well-designed effect that gives you a great deal of control. You can adjust direction, the number of octaves of arpeggiation, add swing, and gate the sound so that the notes are more staccato. Even better, you can customize the pattern with a built-in Pattern Sequencer that can set to up to 32 steps. It has a graph-like look to it, with the active steps represented by lines whose height represents amplitude and width the amount of gating. You can adjust these parameters by clicking and dragging with your mouse. 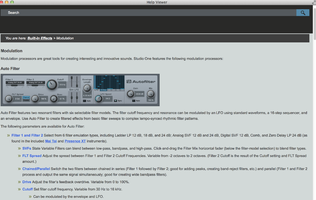 Rotor, along with Bitcrusher, are the two new audio effects in Studio One 3 Professional. Chorder: An “intelligent” chord generator, it allows you to assign chords to specific MIDI notes, and then trigger them with single notes. You can create your own chords using Learn Mode, or use one of the many presets, which include groups of chords based on musical styles, and chord types. You can also set it to play intervals, which could be cool for melodies. For a guitarist like myself, whose keyboard chord-playing skills don’t go much beyond basic triads, being able to program and trigger chords is downright empowering. In this example, I used the preset “Rock Chord Group 3” and just played single notes. The patch was EP Whammy from Presence XT. Arpeggiator offers impressive control over a number of parameters. Input Filter: Set key ranges and velocity ranges, and any notes you play that are outside of them won’t sound. Repeater: Featuring a pattern gate similar to Arpeggiator, Repeater differs because not only does it let you adjust amplitude and note duration for each step of the pattern, it lets you set pitch as well. Here’s an example using the preset Modular Steps. All I played were two single notes: a D for the first two measures and a C for the next two when creating this example. The patch was a Presence XT sound called Mod Pulse. 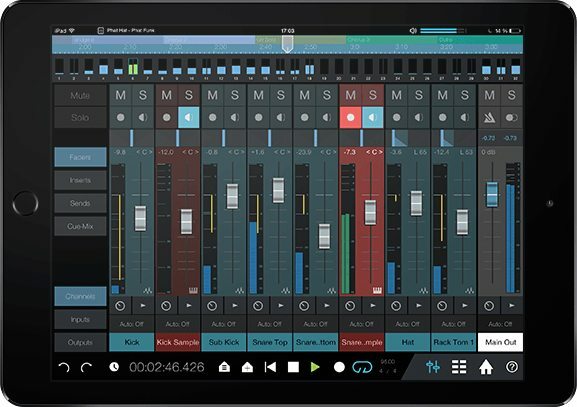 A very exciting addition to Studio One 3 Professional is the ability to control the program via a free iPad App called Studio One Remote. You need at least Studio One 3.01 Professional to use the app. 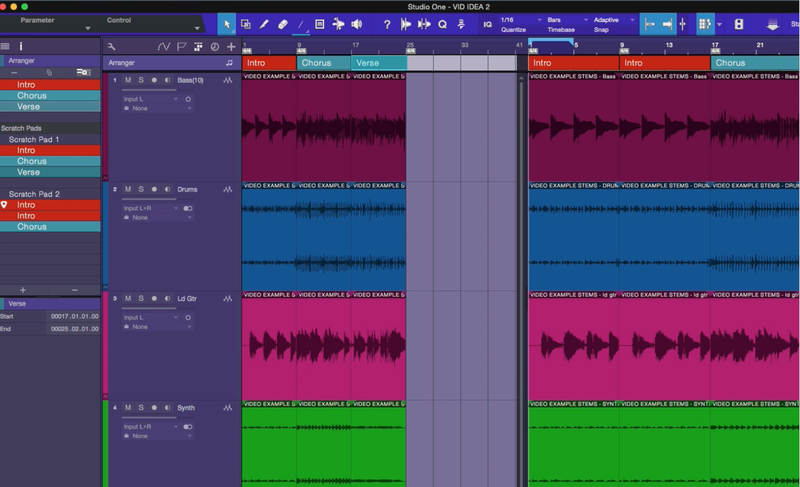 Using PreSonus’s UCNET protocol, the app wirelessly controls Studio One. I opened it for the first time and it immediately recognized both my desktop and laptop computers with Studio One running on them. I selected the appropriate computer, and boom, there were my mixer channel strips showing the faders, panners, mute and solo switches and the record-arming and monitoring buttons. Any move on the app version was mirrored on the computer. A timeline appeared at the top that I could use to move the transport to a different part of the song. Even with the song playing, I could slide to a different location and playback updated to the correct spot quickly, with only a slight pause. Because the app isn’t big enough to show an entire channel strip beyond the fader, a series of tabs on the left side of the screen allows you to jump to different mixer sections such as Inserts, Sends, Cue Mix, Inputs and Outputs. 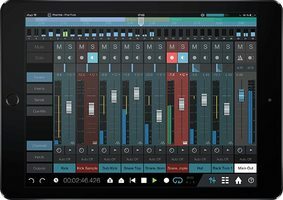 The impressive Studio One Remote app gives you control of transport, mixing, Macros and quite a few other features. According to PreSonus, you can also use the Control Linking feature from within the application to setup plug-in parameters to be controlled from the app. I didn’t have a chance to try to configure that feature, so can’t comment on how well it works, but it sounds promising. That’s only part of it, though. A second screen lets you access a wide range of commands, arrayed in individual spaces of a 4x4 grid. You can access a separate grid for each of the following tabs: Transport, View, Console, Event, Edit Automation, Audio Instrument Tracks, and Macros. A couple of examples of the available commands are Add Instrument Track (in the Instrument Tracks category) or Show Envelopes (in the Automation category). You’d be surprised how much functionality you can control with single button pushes. All of Studio One 3’s Macros are available as well, under the Macro tab, giving you even more possible functions. Overall, the app is very impressive and makes it possible to move away from your computer, if you need to when recording or mixing with clients or whatever the circumstance. You’re no longer limited to straight lines for automation, as the automation curves feature automatically switches to a curved shape as you drag an automation point. If you don’t want a curve, you can just keep dragging and it will straighten out. Having the curves can help make for more natural sounding automation moves. One addition I am not crazy about is the new “Dynamic User Manual.” Installed into the application itself, you open it by choosing “Studio One Reference Manual” under the Help menu. When you do, it opens a separate window. The redesigned manual offers lots of information but needs a revamp of its flawed navigation features. Why don’t I like it? Unlike the previous manual (which was a downloadable PDF), it’s harder to search. Here’s an example: If I typed in “Automation Curve” in the new manual’s search bar, it gives me search results that it deems relevant to that search term, but it doesn’t show me where actual instances of the phrase “automation curve,” were found, like you’d get in a search of a PDF manual. As a result, I then have to search through a bunch of category links that were returned in the results, and have to read through them looking for that search phrase. I know it doesn’t sound like much, but when you’re trying to find something very specific, it can take a lot longer to get to it. Here’s another problem with the manual. At the top of pages it has a “You are here” indication to show you what section you’re in. For example, “You are here: Automation > Editing Automation Envelopes.” The broader category, “Automation” is a hyperlink. “Cool,” I think to myself, “I can just click on that and get back to the more general Automation category. Wrong. It takes me to a page whose entire contents are the heading “Automation” and a single descriptive sentence about automation in Studio One. But there is no way to navigate off the page to see the rest of the chapter. You’re stuck there unless you put in a new search. This doesn’t seem like a very hard problem to solve, but PreSonus should deal with it. Considering how deep the feature set is of Studio One 3, it’s important to have documentation that’s not only informative, but also easy to navigate and search. 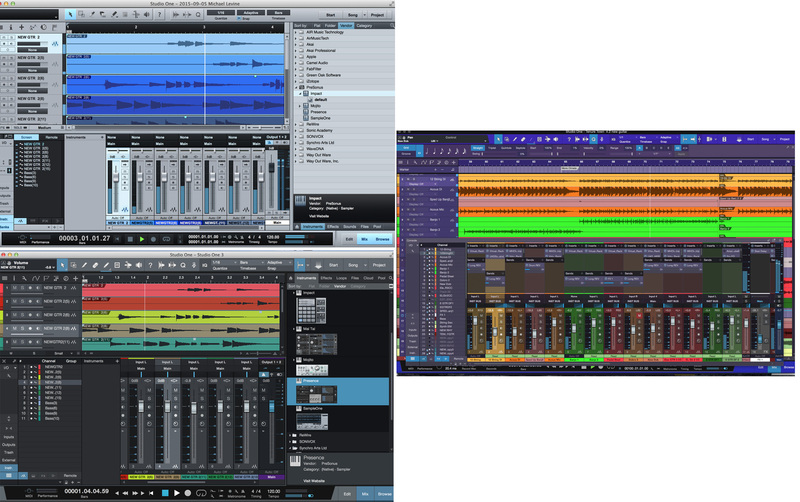 It took a long time for PreSonus to get Studio One to get to version 3, but to me, the new version delivers in a big way. I have some colleagues that think there should have been more new features, due to the length of time between upgrades, but I feel like the new additions have taken an already very strong DAW and made it substantially better, which is my criteria for the success of a major software update. Probably the most impressive additions for me are the Arranger Track and Scratch Tracks, because they are not just derivative features you can find elsewhere, they’re genuinely innovative. I’m also quite impressed with the ease of use and deep functionality of the Studio One Remote App. The new instrument architecture, used for Mai Tai and Presence XT, is very impressive, as is the sonic variety offered in those instruments, especially Presence XT. Having the ability to combine mulitiple instruments and effects is another super powerful addition. Finally, I like the new look of Studio One's GUI, especially the addition of more color. If I had a wish list for subsequent updates, I’d like to see the video support upgraded so that you could score to a video and then export the video with your music added. That's an essential feature for those who work with picture. A notation section would also be very helpful for many. Considering PreSonus owns Notion, there’s no reason (other than a cost-related one) not to integrate notation. I'd like to see an Event List and a field for adding track comments. Improving the navigation on the manual would be very helpful, as well, as would phone support. 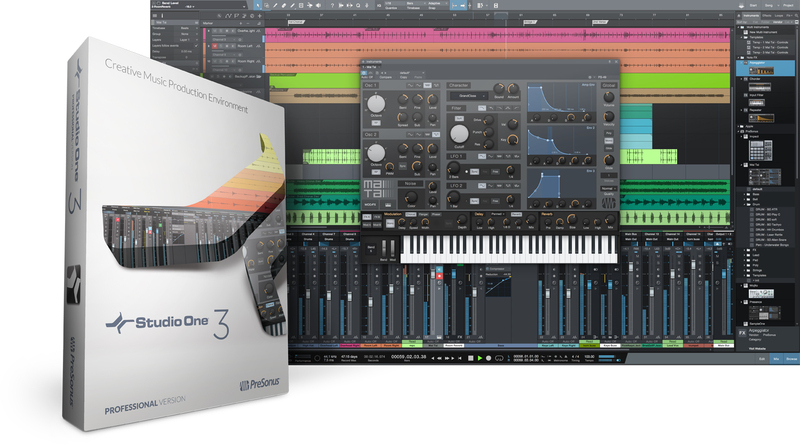 But overall, Studio One 3 Professional ($429.95 boxed version, $399.95 download, $149.95 upgrade from Studio One Professional 1 or 2) is a very strong DAW that can hold its own for most functions with any of its competitors. And it’s the only one with a dedicated mastering section (the Project Page), which is huge. If you’re a Studio One 2 owner, the upgrade is a no brainer. 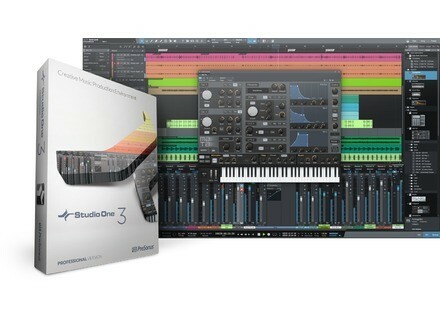 If you’re shopping for a new DAW, and want one that’s both friendly and powerful, Studio One 3 Professional is a great choice.